Cold brew coffee is an innovative brewing method that will let you have the best iced coffee you have ever made at home. The process of cold brewing coffee is pretty simple, but there are certain things you can do to vastly improve the quality of your batch, like of course, a good coffee machine, and some great coffee beans. 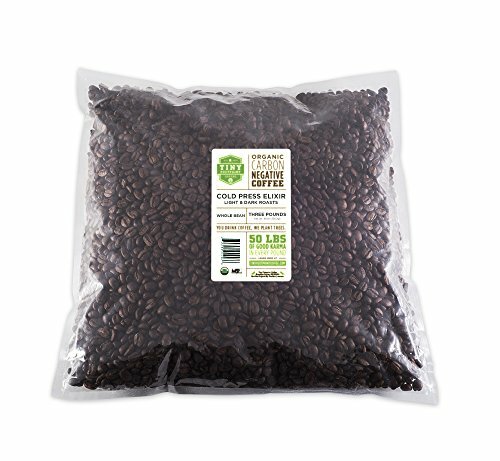 One of the simplest and most obvious ones is figuring out how to find the best cold brew coffee beans for you. Instead of simply providing you with a basic recommendation for the exact coffee bean to use, we wanted to dig a little deeper and help you make the decision. In that spirit, this article will provide you with everything you need to know to select the best type of coffee for your cold brewing experience. There has been a huge trend over the last several years that has produced impressive innovation in common areas we may have taken for granted. One example is the huge boon in craft breweries that have moved beyond producing nearly identical beers as their competitors. Instead, these breweries are providing beers unlike any tasted by the previous generations of beer drinkers. Cold brew coffee has been another one of these impressive and fast-growing innovations. Iced coffee has been popular for a while and many coffee shops have figured out a way to do it quite well, but this still left a lot to be desired. Then, cold brew stormed onto the market and changed the iced coffee game. We have met people who swore to avoid iced coffee at all costs and now cannot get enough of cold brew. One of the best parts about cold brew is how easily you can make a high quality batch at home. This is not one of those delicacies that can only be enjoyed at the corner coffee shop or a chic café for $5.00 per cup. If you brew it correctly with your preferred coffee beans, it will surpass any cup of cold brew you can buy at a store or café. It might seem like a surprise, but those four things are truly all you will need to make a batch of cold brew. The container can be truly anything that will fit the water and coffee grinds, like a pitcher or even a carafe from a coffee maker. The strainer can be metal or paper coffee filters or cheese cloth. The easiest way might be making the cold brew in a French press. There are also other simple devices on the market that help make a batch of cold brew. Do not overspend on any of these systems as they are not truly required, but some do simplify the process if that is what you prefer. Cold brewing coffee is not complicated and can be done by anyone, whether you really know what you are doing or not. Once you do it once, you will not have to think about it again, but there are key things to remember to ensure each batch comes out great! That is it. You do not need to do anything complicated and you will get café quality cold brew coffee. We highly recommend you dilute the cold brew concentrate. A batch of cold brew can have about twice as much caffeine as a normal cup of coffee, which can potentially cause you to be bouncing off the walls at your place of work if you were not expecting the added dose of caffeine. Trust us, learn from our mistakes. Many people have passionate opinions about single- or multi-source coffee beans. Single-source proponents claim it produces a purer coffee where the flavors of the individual bean drive the quality. Fans of multi-source however will claim the only way to produce specific flavors is through blending multiple beans during the roasting process. We are here to tell you there is no right or wrong answer, but for cold brew, there are two main criteria to look at, the cost and the flavor profile. There is obviously a tradeoff to be made between single- and multi-source coffee beans. The flavors for both can be incredible, but for our purposes, we are looking for a more uniform taste. Minimal variation between beans will greatly help you narrow down which is the ideal bean for you. The costs will likely be higher on average for the single-source beans, but do not forget you are making a cold brew that is worth the money. Once you fine-tune your process and ideal coffee, you will be making coffee so good you will not think twice about a little extra cost for the beans. In order to decide which type of coffee is best for cold brew, we need to take a look at all your options. The three roasts you need to know are Light Roast, Medium Roast, and Dark Roast. Here is some more information on each as it pertains to cold brew. The key traits often heard to describe light roast beans are high acidity and brightness. The other great trait of a light roast is that it maintains the majority of the characteristics from the original beans. This helps to really accentuate the different tastes of numerous origins. Some of the best traits of light roast beans are the same reasons it might not be the ideal coffee for cold brewing. When you hot brew a light roast bean, the flavors and notes will be powerful and easy to taste. However, when you use a cold brewing method it gets a little trickier to pull out some of these notes. 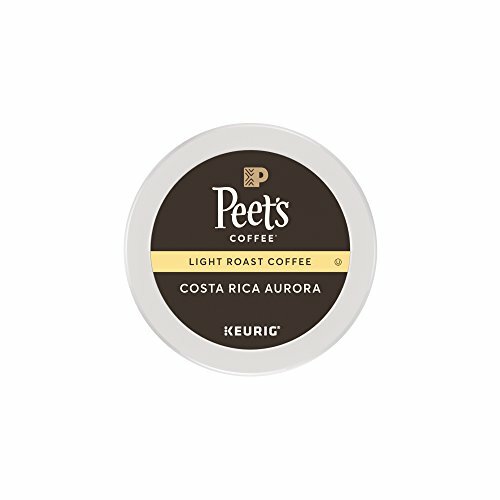 Often, certain light roasts are a little more expensive, since you are getting all of these extra flavors. While the beans will certainly make a tasty batch of cold brew, it might not be differentiated enough to pay the premium. As you let the beans roast longer, they begin to take on more flavors and aromas from the actual roasting process. This is what gets you the balanced medium roast. The acidity will be lower than a light roast and the flavor will no longer be completely driven by the beans. This does not mean there is less flavor. Instead, you will get a much fuller body that can only be reached by extending the roasting process. As you can imagine, the medium roast is the ideal option for someone who is not looking for anything on either extreme. The medium roast will not miss out on too many flavors in the cold brewing process. 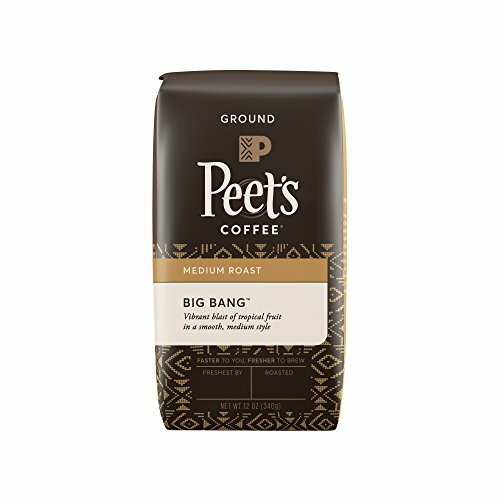 Depending on the bean, you might miss out on subtler notes that would be picked up if you brewed your coffee hot. But, the lower acidity of a medium roast works incredibly well for a cold brew. This will get you quite close to the “syrupy” texture of cold brew that many rave about. A dark roast bean fits the simple “dark” description perfectly well. As it has gone through the roasting process, the bean has become almost black in color. 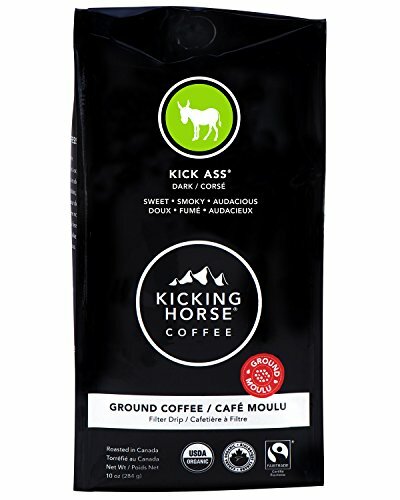 The dark roasted bean results in a coffee with low acidity with a full body. When you take your first sip of a dark roast, you will know it. The flavors that are jumping out at your will be largely from the roasting process, with little of the original coffee bean flavors remaining. These can often be described as earthy. This difference is often why you may see a price gap between dark roasts and light roasts. The beans for light roasts have to selected to produce impressive flavors, while dark roast beans can mask some minor flavor imperfections through the lengthier roasting process. The earthiness of a dark roast bean plays well with cold brew. The syrupy and dense flavor you expect from a cold brew can easily be provided from a dark roasted bean with a full body. As is often the case in these situations, there is no one right answer. People’s preferences are all so different and coffee is one of those areas that no two people seem to agree on. Once we accept everyone is different, it will make life a whole lot easier. There is no right answer, but if we were forced to pick our favorite type of coffee for cold brew we would choose a single origin dark roast bean. This will give you the most bang for your buck and will help you rival the cold brew from any café out there. The flavor profile of a dark roast bean perfectly produces the traditional taste you would expect in a cup of cold brew. You will get a thick and nutty coffee that can easily be lightened or strengthened by adding more or less water. It also works great in making ice lattes or other drinks, since the flavors are powerful enineough to stand out. That is our opinion and it may differ from others, but we have found it creates an incredibly delicious batch of cold brew. In the spirit of recognizing everyone’s preferences are different, we do have a recommendation for finding the best cold brew coffee beans for you. We recommend you start by making a batch of cold brew with a dark roast bean. Then, continuously make more batches, working your way towards a light roast. This is where single-source beans are key, because they will help you truly get a taste of what you like best. Along the way, if you feel like you have gone too far or lost the flavor profile you loved, then start backtracking. You can work your way back towards a dark roast until you hone in on the exact roast that works for you. The trick is to test out as many batches as possible until you find your ideal roast. This may sound daunting, but trust us it is actually a lot of fun. We can just about guarantee you will never make a batch and not enjoy it better than the alternative of pouring hot coffee over ice. You just might not enjoy as much as the last batch you made. That is not a problem, but a sign of progress towards finding the perfect coffee bean for your cold brew! Hopefully, you find yourself ready to find the best coffee bean for cold brew and to make the best batch of cold brew you have ever made. If you follow our tips and find your ideal coffee bean, you will never need to spend another dime at a coffee shop or café in search of a great cup of cold brew.